Rostyn was born in the UK and raised in Perth where he began his football career. In 2003 he signed trainee papers with the Premier League team, Blackburn Rovers. He represented Australia at Under 16‘s and Under 17‘s level. In 2009 he returned to Australia for a brief stint with Adelaide United, and played with North Queensland Fury for the 2009/2010 season. He currently plays for Central Coast Mariners where he enjoyed a stellar first season playing a holding midfield role. Rostyn Griffiths answers the Fast Four. Is there a book you think everyone should read and why? Freakanomics written by Steven D Levitt & Stephen J Dubner and The Secret written by Rhonda Byrne because both of those books made me see the world in a different way! Has there been a character you really liked and why? At home in bed so that I am nice and comfortable as well as it is very relaxing. Beau Waters is the vice-captain of the West Coast Eagles. After an extended absence due to injury he returned last year (2010) and had a great season, leading the team in marks and loose-ball gets and was third in the best and fairest. He was drafted in 2003 and in 2004 he was a NAB AFL Rising Star Nominee and was part of the premiership side in 2006. To kill a Mockingbird- A terrific insight into equality and values and puts modern era problems into perspective. The life of Pi- A fun book about how to put a positive on any situation, creative thinking but a scary thought to be stuck on a boat with a tiger!! Again Atticus Finch, he has patience and great virtue. He always shows respect and is a terrific role model. I’m a big reader before I go to sleep, it clears my mind and relaxes me. Selwood made his AFL debut in 2003. 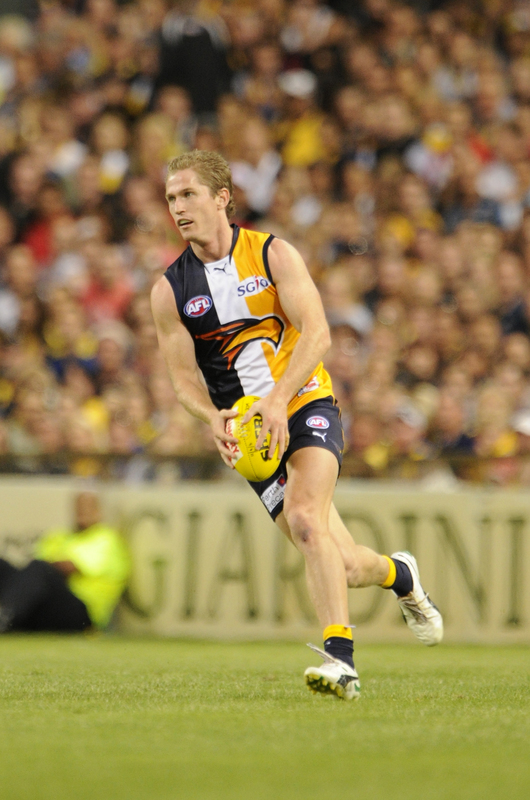 Between then and now Selwood has been a AFL rising Star nominee, a player in the International Rules Series vs Ireland and an eagles premiership player. In 2007 and 2008 he was voted third best and fairest player. Mid-season shoulder injuries hampered his 2010 season and he missed six games, but 2011 has seen him start strong. Lance Armstrong books. Dealing with adversity and being able to achieve great things. I enjoyed Robert Langdon in the Davinci Code – by Dan Brown. Seemed very intelligent and full of suspense and adventure. Neates was drafted in 2010 but a finger injury saw him miss the first 10 weeks of the season and and he finished the season developing his game in the WAFL with Claremont. During this time he averaged 18 disposals and five marks per match from his 11 appearances. He also represented Western Australia at the 2009 NAB AFL Under-18 Championships, averaging 15 disposals per game at the carnival. 1984 – George Orwell. It’s an amazing projection of how things can go wrong when society is allowed to devalue the individual. Macbeth – Shakespeare. Such a flawed and ultimately tragic character whose misdeeds (literally) haunt him. Mark Bartholomeusz proved to be a valuable asset to the Western Force throughout 2010. He has played over 170 first class matches and has international experience that includes the Saracens (an English Premiership team) and a season with Petrarca Padova for the Italian Super 10 Championship. 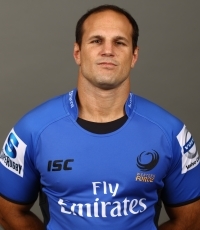 He has played with the Wallabies and experienced the ultimate in Super rugby as a player with the Brumbies. He is expected to be an important part of the Western Force set up heading into the 2011 competition. The Famous Five because it is great for children’s imagination. The Big Friendly Giant from The BFG – Roald Dahl. 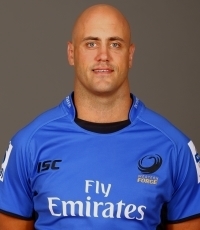 Nathan Sharpe is the captain of the Emirates Western Force, a role he has thrived in, during his time in this role he has become a figurehead and cornerstone of the Perth based team. A world class player who was awarded to John Eales Medal in 2007, runner up in 2009 and a top 10 contender in 2010. He also took home the ‘2010 Members Most Valuable Player Award‘ and was only 6 points behind the winner of the ‘Player of the Year’. Sean Courtney from the same book. It would have been fantastic to experience life in those days. I love reading around a pool. 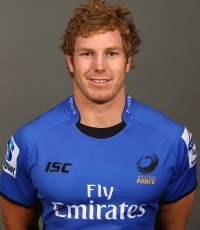 David Pocock is an inaugural Western Force player, and was named Vice Captain of the club in 2010 in recognition of his superb leadership skills on and off the field. 2010 was a great year for Pocock when he cemented his place as an elite player on both the Australian and world stages by taking home the 2010 John Eales Medal – awarded to the best performing Wallaby. Pocock was born in Zimbabwe and spends time away from the field helping to bring a better quality of life to those less fortunate. He is Co-founder of the charity organisation 80/20 Vision, aiding communities in his birth country. Paulo Coehlo – The Alchemist. (and also his first book – The Pilgrimage). The way Coehlo incorporates what Jung* called “synchronicity” and other aspects of Jungian thought is brilliant. It’s like a lesson on Jungian theory in novel form. I read it in one night. I couldn’t put it down. Peekay in Bryce Courtenay’s ‘The Power of One’. I remember loving him for the time he spent with Doc, the old German with a love of music and cacti, and also for Peekay’s relationship with Geel Piet who was his boxing trainer. Surely everyone wanted to be Peekay when they read the book? Anywhere I can really. With all the travel we do it’s often in airports, on the plane or on buses. If I’m not travelling – its hard to beat reading lying on the grass in the garden. *Jung was a prominent psychiatrist and influential thinker, a practicing clinician who explored things like philosophy, alchemy, astrology, sociology, literature and the arts as he developed his theories about the human psyche.